The combination of many simple elements in one single setting can take any design to a whole new level, and this is easy to notice with this brand new desk stationary mockup provided by Pixeden. 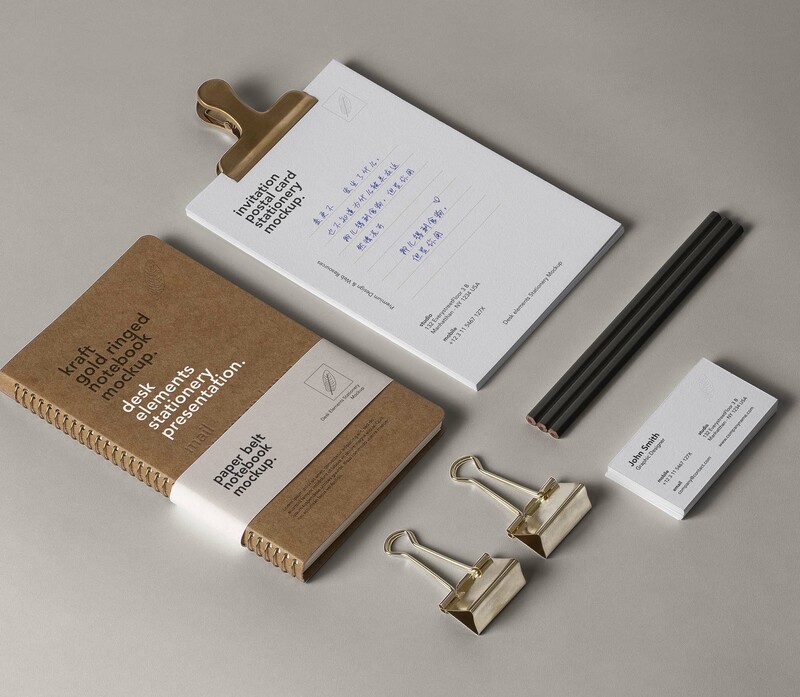 From a ¾ angle, you can see a notebook with a brown cover, a stack of papers, business cards, 3 closely set pencils that can be customized, and binder clips, all with their corresponding shadows that add even more to the realistic effect of the resource. All these elements can be found on any desk so they’re easily identifiable. Using the smart object layers, you can add your graphics to this free PSD mockup; so with a few clicks, you’ll be able to represent the identity of any brand/ company, showcase its logos and icons, and change the color of the background as well.